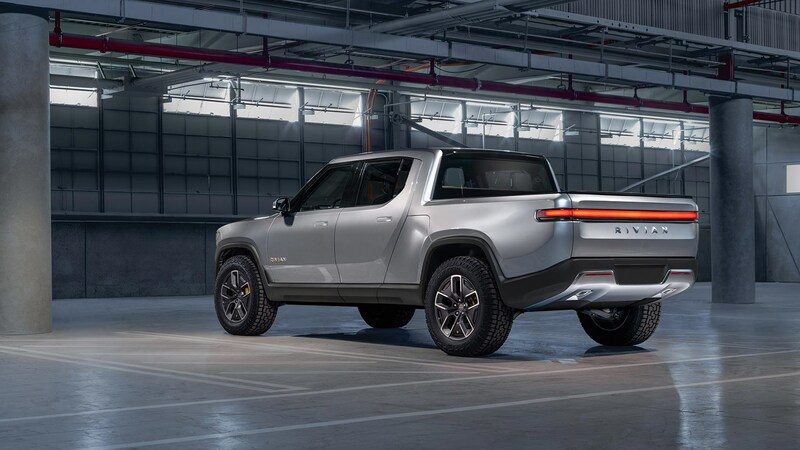 You're looking at what is likely to be the world's first all-electric pickup: the new Rivian R1T. 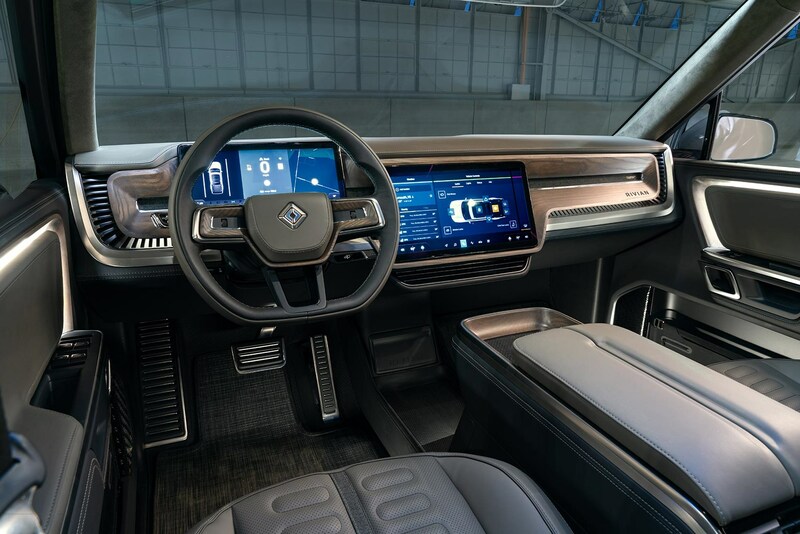 It's made by a new American start-up manufacturer based in Plymouth, Michigan and the company aims to start selling its innovative electric vehicles (EVs) in Europe by 2022. The company is hoping to 'do a Tesla' and disrupt the outdoor adventure vehicle segment. The logic being that the public is already demanding electrification to clean up our polluted towns and cities - so why wouldn't they also want to clean up their environmental footprint when driving to the beach, parkland or mountain at the weekend? 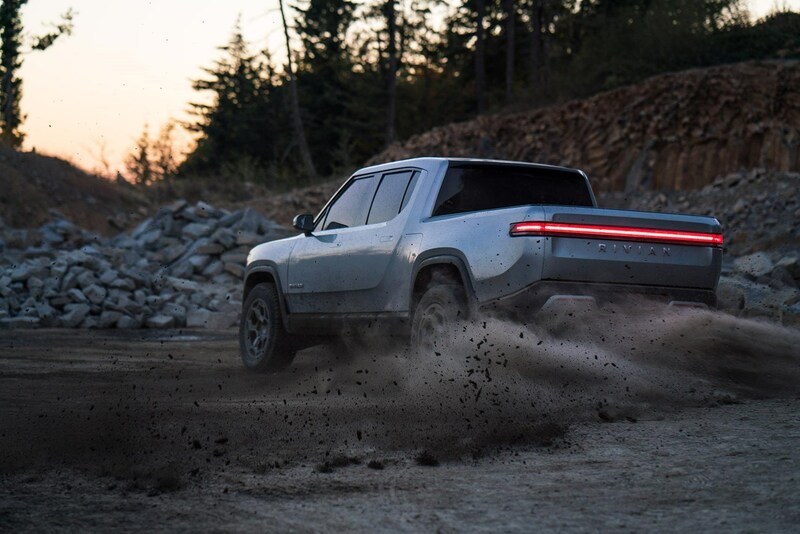 The Rivian R1T (T for truck) is the sister vehicle to the R1S (S for SUV). They both share the same mechanical underpinnings, with a surprisingly high 91% commonality of parts. What's the driving range of the Rivian R1T? 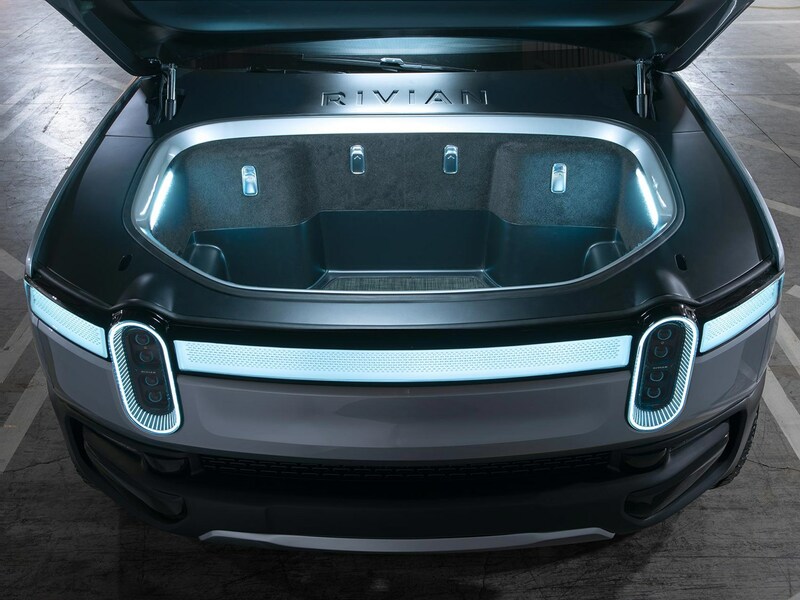 The company claims that the batteries will fast-charge at up to 160kW; the infrastructure to support that remains scarce in the UK today, but assuming you could actually find a charging point to support this charge, 200 miles could be added in just half an hour, says Rivian. When plugged in, the front light bar - the wide strip connecting the two 'Stadium' headlamps - glows to show the state of charge. This is a proper tough workhorse, according to its makers, who have imbued the R1T with a host of tough features to make this a viable pickup for leisure or business use. 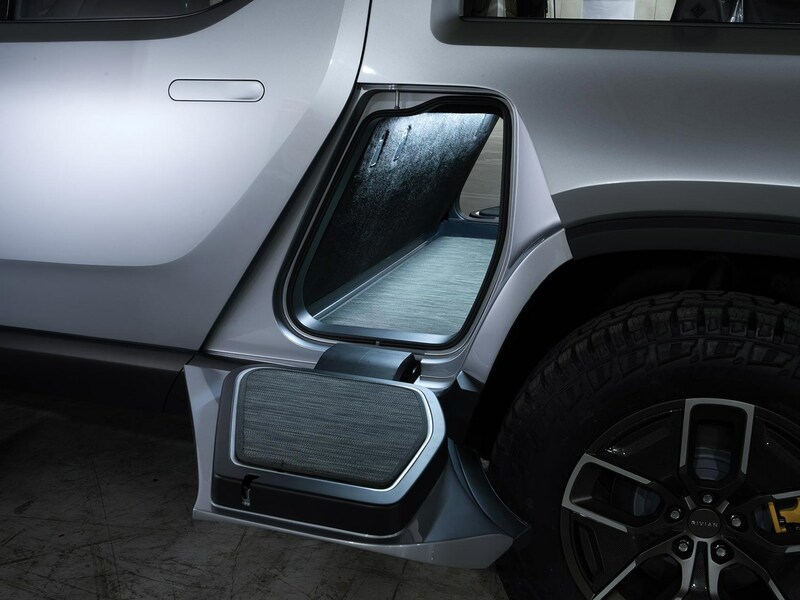 There's a really clever Gear Tunnel (below) - an extra storage cubby under the double cab's rear seats is big enough to swallow a surfboard whole. (This clever packaging is enabled by the flat 'skateboard' electric vehicle platform). The loadbed's dimensions are a decent size, although it has to be noted that the payload currently quoted falls below the magical one-tonne mark necessary for current UK tax reasons. 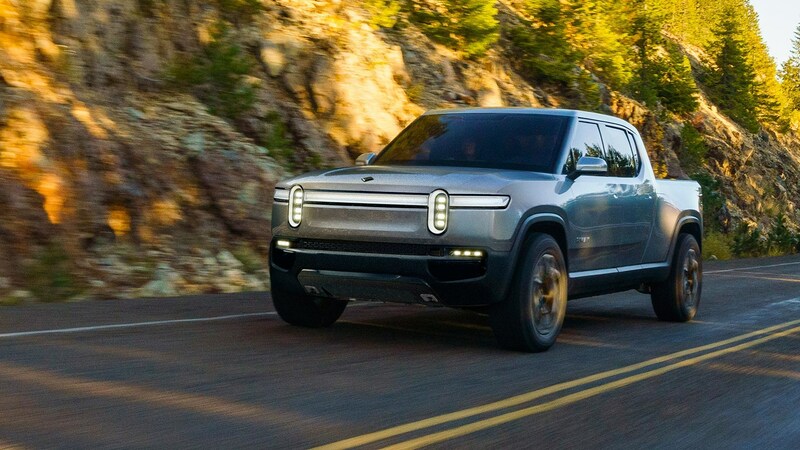 It will be interesting to see if Rivian addresses this before UK sales start. 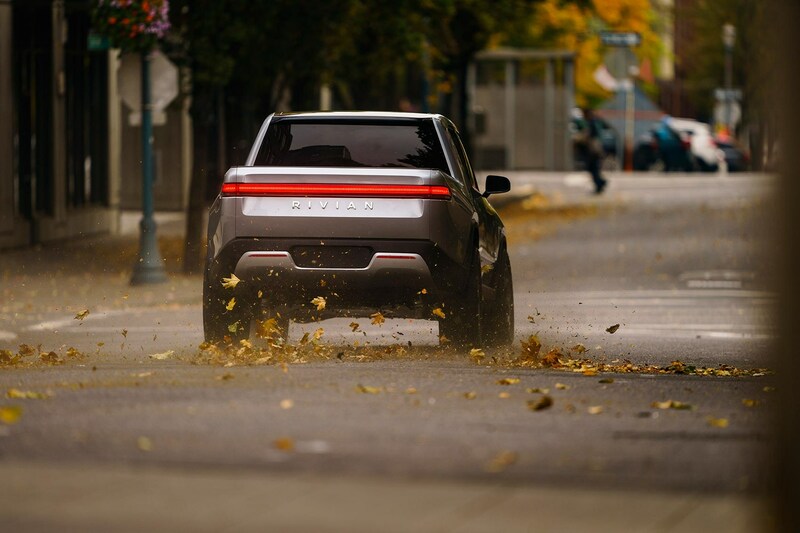 Performance claims for the Rivian R1T are surprisingly rapid, as is often the way with grunty electric powertrains. The benchmark 0-60mph sprint is dispatched in just 3.0 seconds on the fastest derivative, while top speed is artificially pegged back to 125mph. 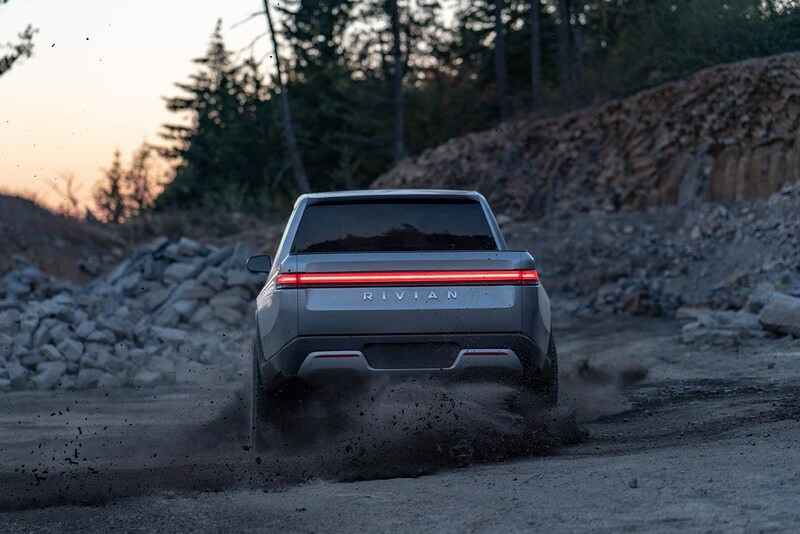 Tellingly, Rivian has benchmarked the R1T against vehicles such as the Land Rover Discovery for off-road work; with a punchy 147kW electric motor at each wheel, the four-wheel drive R1T can climb 45deg (or one-in-one) inclines and has some strong off-roading credentials. 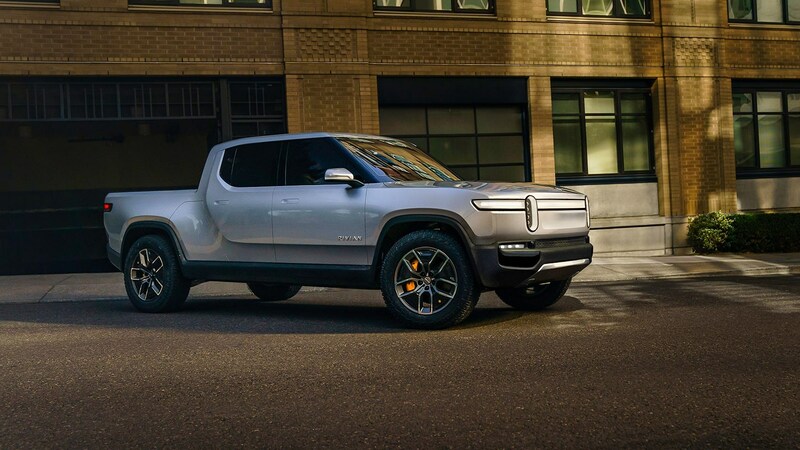 What are the approach, departure and breakover angles of the Rivian R1T? 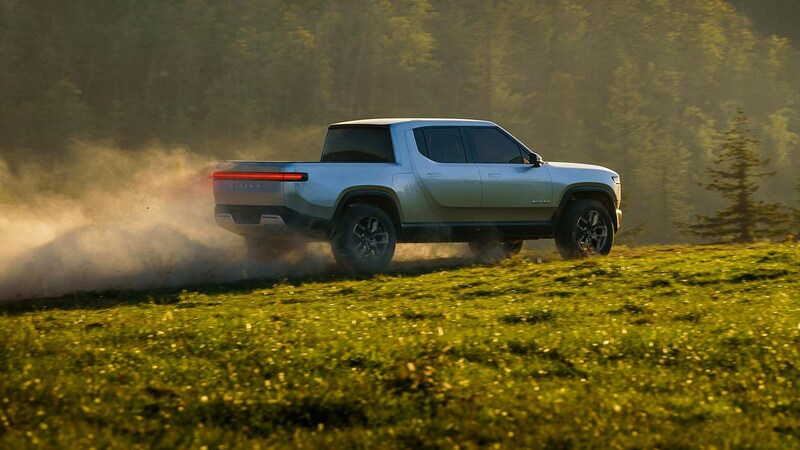 This is a proper mountain goat of a pickup, says Rivian. Such all-areas scramble skills are enabled by air suspension with a high degree of lift - ground clearance easily exceeds that of a Range Rover, as does the wading depth of one metre. 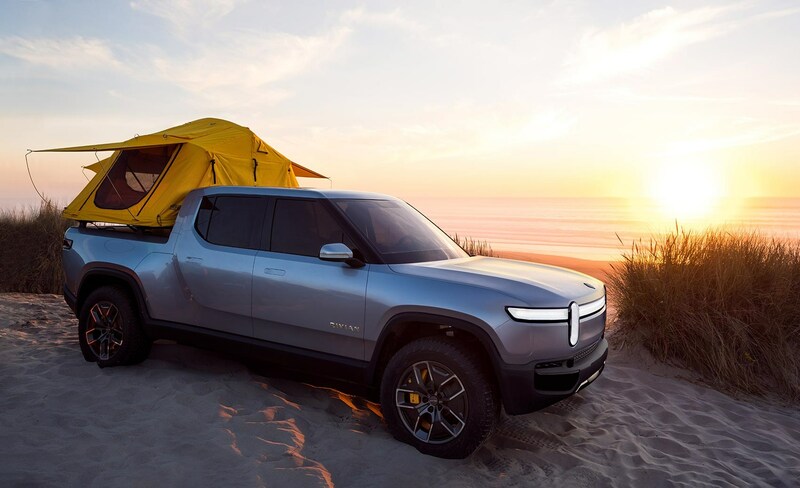 In keeping with the outdoors brief, Rivian is developing a range of accessories for its pickup, including bike racks, tents and even mobile kitchen units. 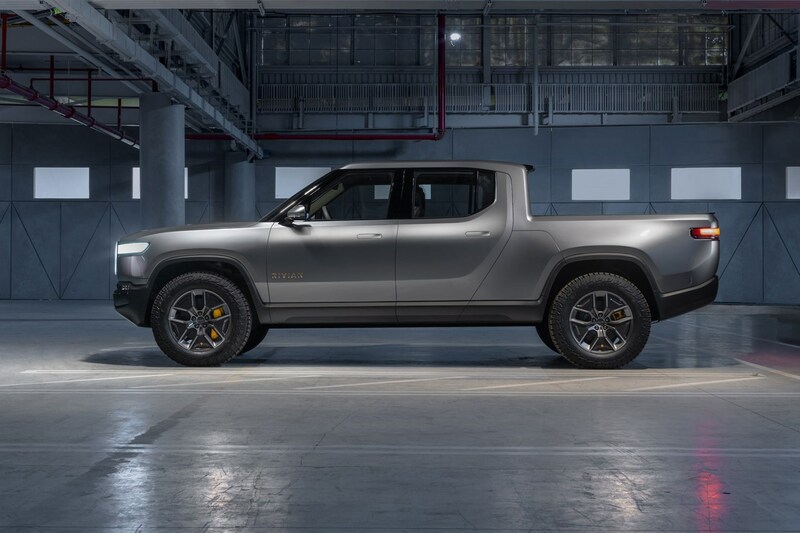 What's the price of the Rivan R1t electric pickup and when does it go on sale? 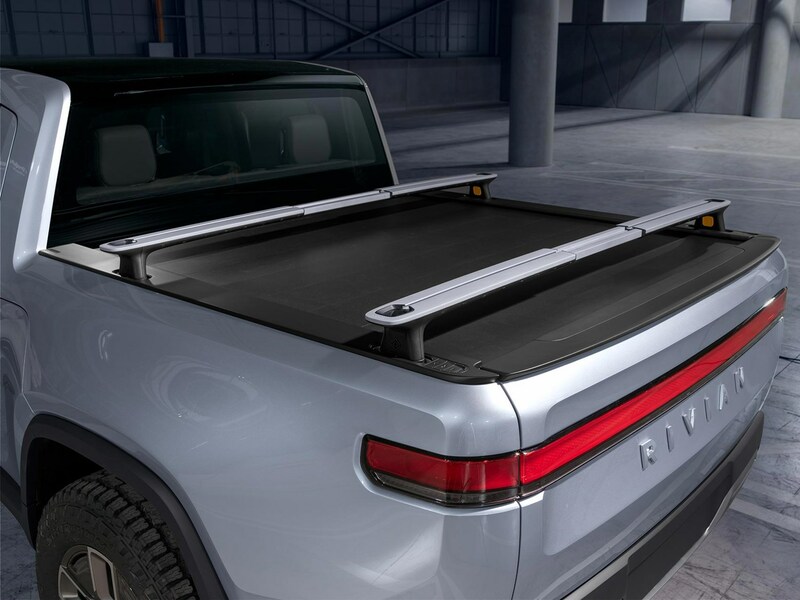 No word yet on UK prices for the Rivian R1T. But in the US, it'll start at a little more than $60,000 after incentives for the 105kWh entry-level model. That's £46,000 at today’s exchange rate, though sterling prices will doubtless creep upwards. The long-range version will exceed $100k (£76k). Expect further details in the coming months, in the build-up to the 2022 European launch.